Stunning in its simplicity, revolutionary in its impact, Completely Connected is the profound made practical. It's not just about connecting with others though your relationships will never be the same. It's not just about connecting with yourself though that's where it all starts. This uniquely powerful skill unites heart and brain, empathy and insight, and your inner life with the outer world. Doing so builds social-emotional intelligence, a valuable asset in living a productive, joyful, engaged life. From personal relationships to the business world - to teaching kids how to be contributing members of society - Completely Connected guides you through the essentials of being human. "Peace among human beings is a difficult goal to achieve because of our passions and prejudices. 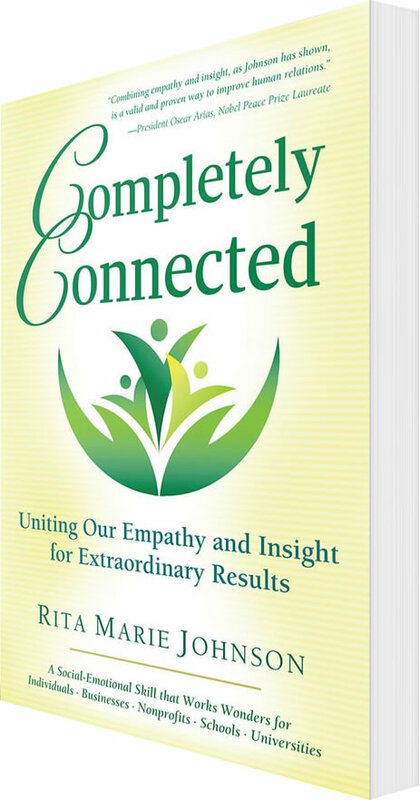 Combining empathy and insight, as Rita Marie Johnson proposes in this book, is a valid and proven way to improve human relations." 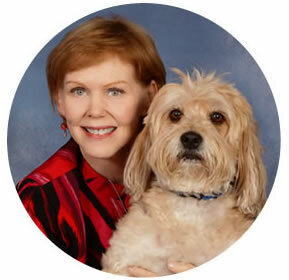 "In Completely Connected Johnson draws from scientific evidence and her extensive personal experience to produce a work that is eminently readable and convincing. This is transformative learning at its best and makes a vital contribution to peace theory, education, and action. People of all ages and walks of life — from school children to octogenarians, from educators to business, nonprofit, government and social-service leaders — are offered a skill that transcends polarizing win-lose approaches to conflict. Readers learn how to combine empathy and insight to achieve astonishing results — results that include improved grades and performance and also heal, empower, and humanize? "In these times when marketing pro-grams tell us what we should want, entertainment tells us how we should feel, and technology is increasingly replacing human interactions, it is crucially important that we all have explicit instruction on managing our inner lives and developing positive connections to others. Rita Marie Johnson's model, the Connection Practice, adds a much-needed, simple and effective approach to our Social-Emotional Learning toolkit." "Completely Connected is brilliant, authentic and potent. Rita made Johnson puts leading edge theory into groundbreaking practice and offers us a medicine that is both soulful and acutely relevant." "If more people followed this path, we would have a more peaceful, just and humane world. Completely Connected should be required reading for all our school children, who will soon be the future leaders in this country." "Organizations need people who know and are comfortable with themselves and are able to understand and relate to others. This book delivers the tools for people to do exactly that." "The book catapults readers into a new level of personal empowerment through a marriage between who they were before experiencing the Connection Practice and who they will inevitably become after learning it." "This amazingly effective technique dramatically transforms relationships — not only those between people, but just as importantly the relationship with ourselves. It is a quantum leap in turning our impossible conflicts into meaningful, fulfilling connections." "When parents, educators, heads of state and federal government, and those that aspire to become world leaders read this book and practice its tools, war will be a thing of the past and hunger won't have a home." "I've always had a vision of peace being possible in this world, but have felt helpless in finding a tangible way to move towards this goal. I now see a way this can happen by supporting one person at a time to learn this practice. This book has inspired me to get more involved in growing this within my community?" Hey Buddy!, I found this information for you: "Book". Here is the website link: https://connectionpractice.org/connection-practice/the-connection-practice/book/. Thank you.